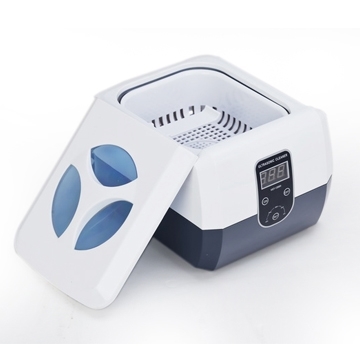 1.2 quart GT Ultrasonic Cleaner - true ultrasonic cleaning power, with stainless steel tank. Transparent lid, with blue light for viewing the cleaning process. Moisture-proof, anti-corrosion PCB. Five cycle digital timer: 90, 180, 280, 380 and 480 seconds.